Print your sleeves in black, 1 color or 2 colors. 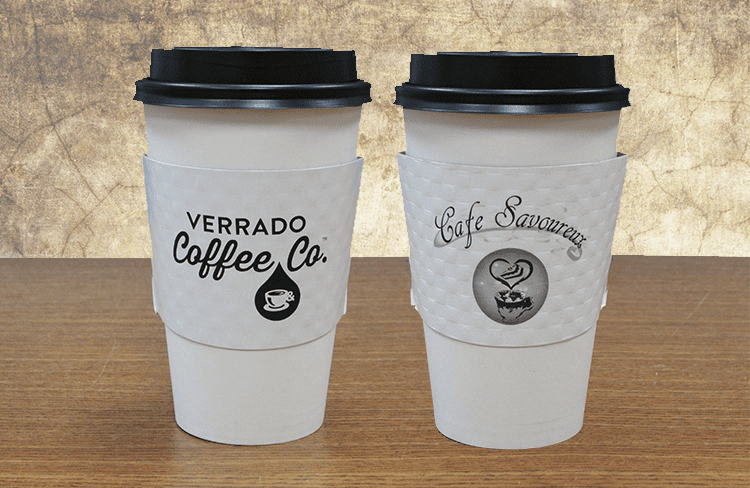 Put your brand in the hands of your customer with a STANDARD 1 or 2 color custom coffee sleeve. 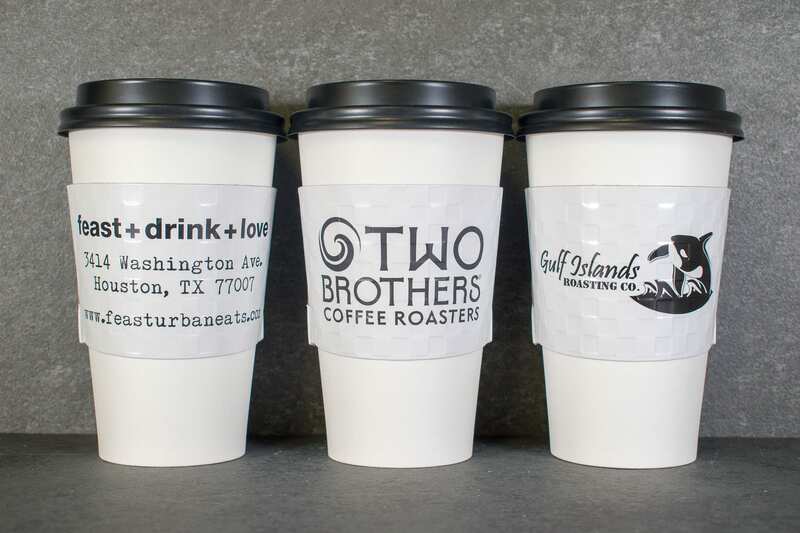 Our 1 & 2 color coffee sleeves are a great way to promote your brand, product or business at very affordable prices. 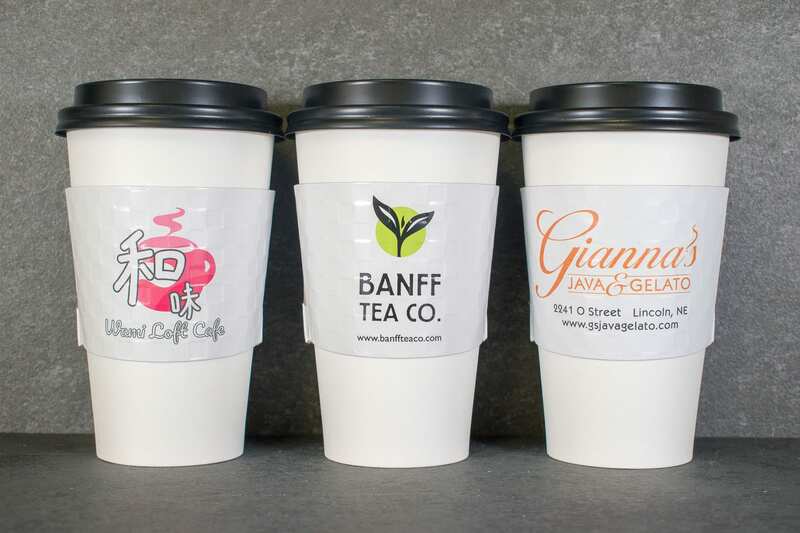 If you do not require full color sleeves and full bleed printing then our STANDARD sleeves are the way to. 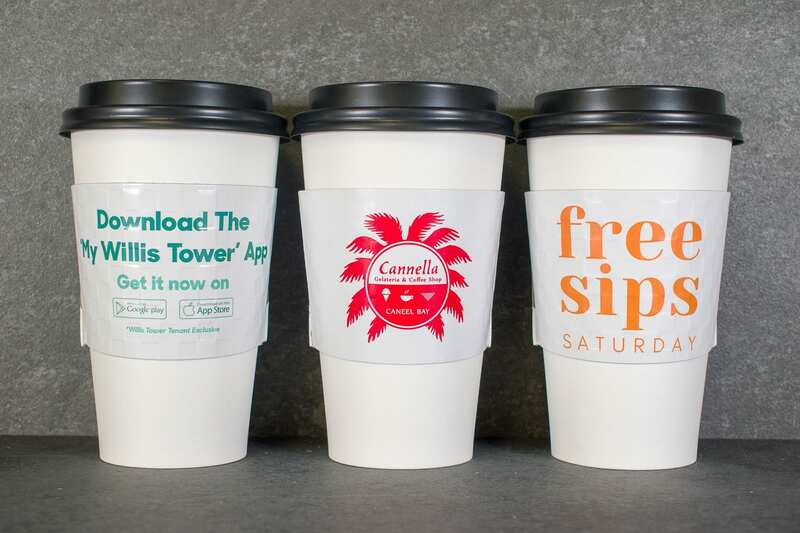 Our 1 & 2 color coffee cup sleeves can have printing on both the front face and rear face of the coffee sleeve allowing you 2 surfaces to promote your brand and spread your message on the cup sleeve. 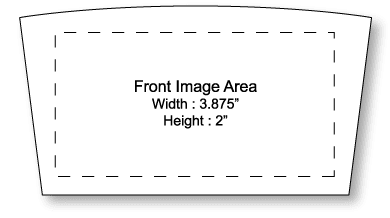 STANDARD black & 1 color sleeve printed with kraft background. 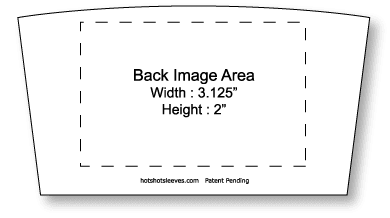 Print different images on the front and back of the sleeve! 15 Minutes FREE Design time included. IMPORTANT : All Pantone colors (PMS) are converted to their closest CMYK equivalent. We can print in actual Pantone colors however there is an additional charge of $100 per color. 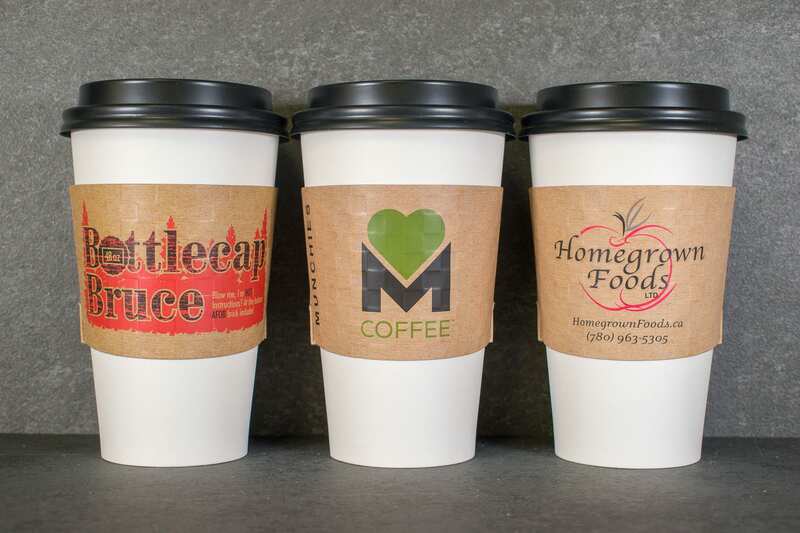 We do not have KRAFT paper at this time, however we can print a simulated kraft background at no additional cost.